TechKaushalya is a state level IT fest which aims to showcase and assess technical and nontechnical skills of the participants from renowned institutes of Gujarat. The purpose of event is to provide a qualitative platform for the young IT aspirants where they can prove their technical, analytical and general awareness abilities as well as compete with like-minded peers hence inculcating competitive spirit among the participants. Synapse is a celebration - a celebration of culture, technology and life.it is about relishing the underlying, inherent conjuction of the three in an electrifying atmosphere. it is one of the most prominent college fest of Gujarat, and has consistently enthralled the youth by its sheer techno-cultural magic over the years. The way we see it, it's not just a college fest - it is a celebration; a spectacle of our talent, aspiration, creativity and vision. The sound of the cheers can rise so high ear that you may have to cover your ears. The enthusiasm of a good crowd is unbeatable. Synapse is the annual techno-cultural fest of the Dhirubhai Ambani Institute of Information and Communication Technology, Gandhinagar, Gujarat. 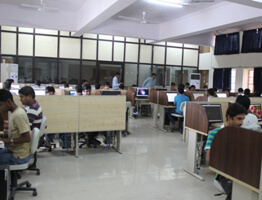 It is a four-day long event held in the even semester each year and is attended by students from across all India.With events including cultural, technical, literature, gaming, business, debate, quiz, workshops and many-more.it presents the perfect platform to expose the participants to healthy competition and also bag prizes while they are at it.